If you look across Cook Inlet from downtown Anchorage on a sunny evening you'll see a high, glaciated volcano called Mount Spurr. Left of Spurr is a low break in the mountains where Chakachamna Lake sits. Left of Chakachamna Lake are the Neacola Mountains, visible as a low and jagged set of peaks that stretch southwest for 81 miles to the Tlikakila River and Lake Clark. 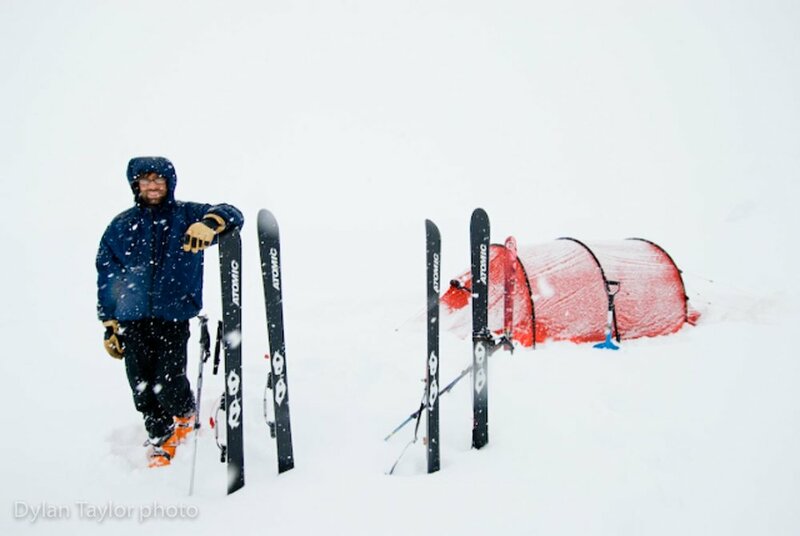 Andrew Wexler, Dylan Taylor and I wanted to ski the full-length of the Neacola Mountains. Derek Nelson gave us some info, then we hit the maps. 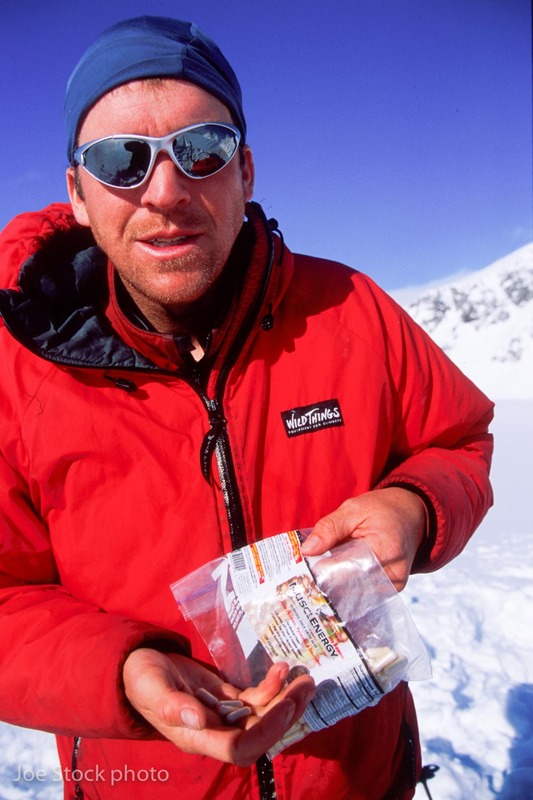 On April 6, 2006, Doug Brewer flew us to 5,000 feet on the Glacier Fork where we cached 100 lbs of food and beverages. 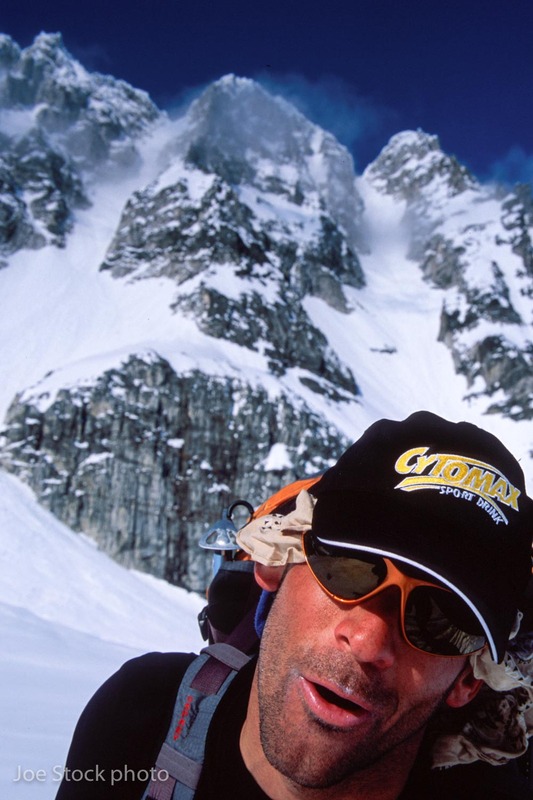 Doug then shuttled us to the east end of Chakachamna Lake. With six days of food, and a single 1:250,000-scale map, we headed back to our cache, across the high neves of the McArthur, Blockade and Tanaina Glaciers. Wex enduring chute envy on day one. We had just five days of food for 60 miles of unknown touring from Chakachamna Lake to our cache in the center of the Neacolas. 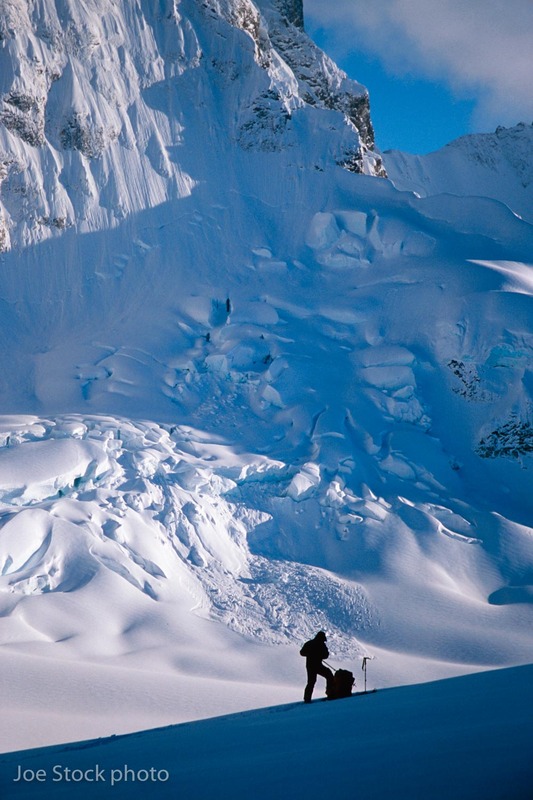 No time for chute skiing. 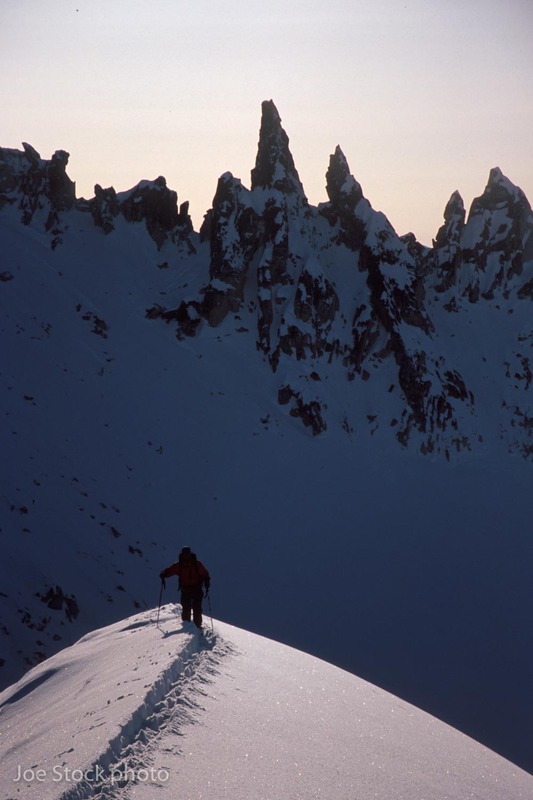 We had some great powder skiing along the route though. But then the weather kept us roped together as we groped through the soup. We reached our food cache and waited for the weather to clear so we could ski chutes. Dylan and his supply of curious supplements for hugeness. 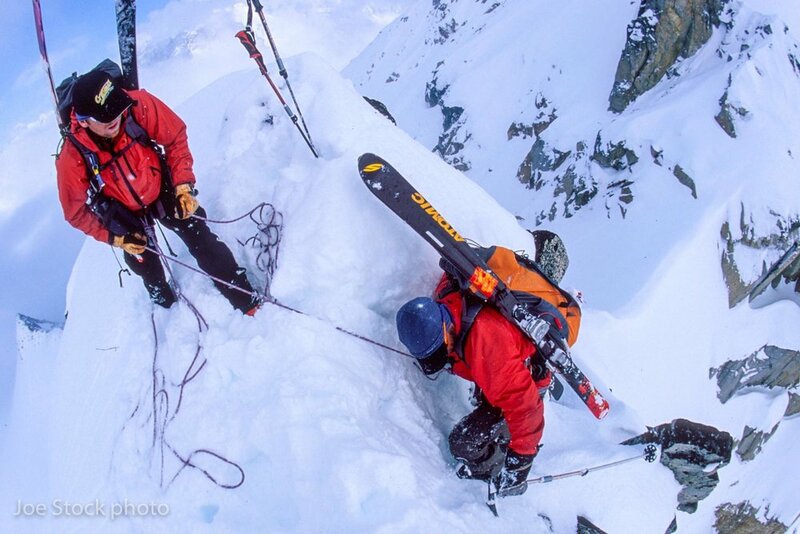 When the snow stabalized we headed for the 3,000-foot Gorilla Finger couloir. Here's Dylan belaying Andrew into the entrance. We shifted base camp to the North Fork Glacier. Dylan Taylor taking first dibs on the 3,000-foot Immortal Technique Couloir. We kept skiing after the Immortal Technique Couloir. Until we had logged 10,000 vertical feet by 10 PM. To finish the traverse, we toured another four days, then walked to Little Lake Clark. Many huge bears at Little Lake Clark. Dylan had never seen a bear in Alaska and really wanted a photo. Andrew is deathly afraid of bears. He slept the last night clutching his ice axe and the remaining stove fuel, ready to douse and torch any marauding bears. Doug picked us up on a gravel bar by the Tlikakila River on day 22. We skimmed the tree tops at take-off and were eating burgers in one hour.